The psychological framework on which Last Planner System is designed could be explained by looking at the methods Phil Zimbardo and John Boyd recommended in their book "The Time Paradox." People having Future perspective are reported to be having higher success rates in their lives as compared to extremely present oriented individuals. Finishing the project on time is very critical for both the client and project team in the construction industry. On schedule project delivery and future and past positive orientated people can make a project successful on all dimensions (time,quality,cost,safety etc.). Last Planner System is a tool that makes project team future oriented by embedding reverse phase scheduling, 6-weeks look ahead and weekly work plans in its planning process. 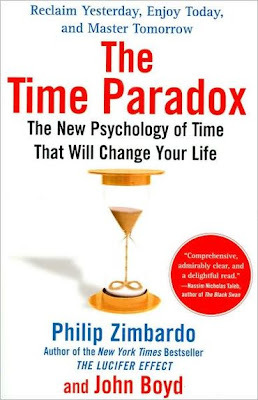 This exercises orient the whole team to future and as Zimbardo and Boyd write in the book, project participants' attitudes towards time can be changed, Last Planner can change the time perspectives in the project team. "The Time Paradox" also explains that having past positive time perspective, meaning having positive memories of past and learning from past mistakes, is also necessary for success and it is also practiced during Last Planner System planning process. The percentage plan complete (PPC) and reasons charting develop a past positive time perspective in project participants. Both (future and past positive) time perspectives are attributes of successful people and hence by implementing Last Planner, we can develop successful people in the organization. Who will deliver a successful project. Repeatedly it is pointed out that benefits from Last Planner implementation can not always be quantified. But qualitative benefits could be explained to some extend by using psychological framework described in this book.